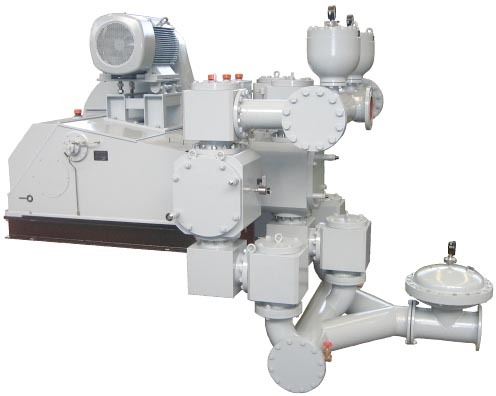 pulsation dampening by diaphragm pulsation dampeners in suction and discharge line; alternatively a pulsation dampening by means of air vessels is possible. Pumping of abrasive and aggressive materials. Very gentle pumping of materials sensitive to shear. Because of the 3-cylinder gear-unit (triplex-design) an extremely quiet and constant steady operation is achieved. 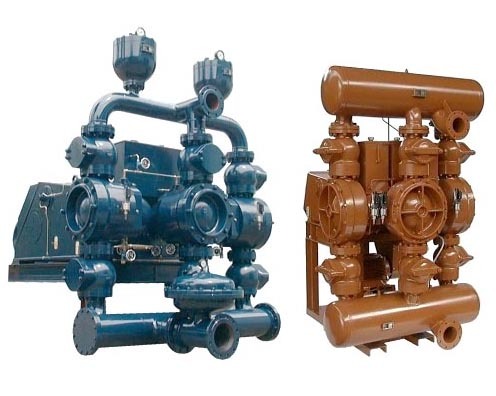 The modular assembly system results in an easy maintenance of the pump.